A planning application is to be made to replace the Esso petrol station in Marsh Road with s block of retirement flats. 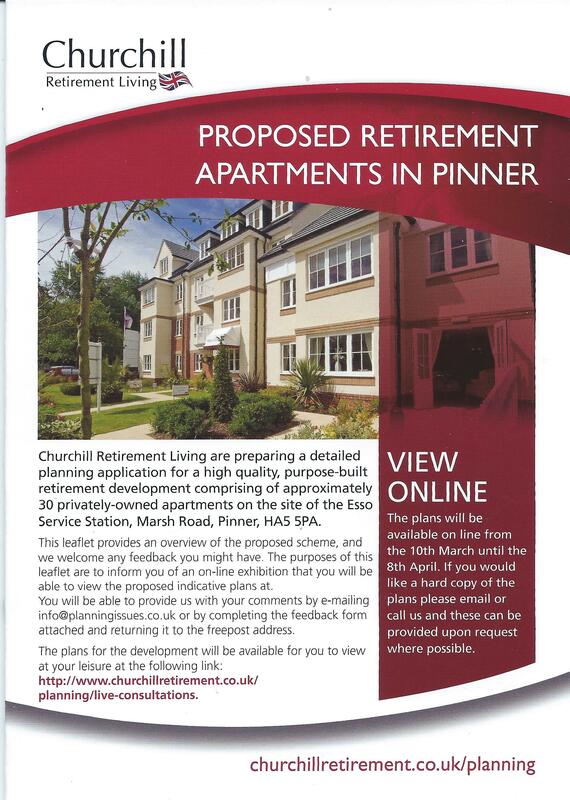 There was a lack of information about these plans as they did not even send out the leaflets until the first week of April, and the website only went live after the MD of the Churchill spin off property development company (they are actually preparing these plans)had been emailed and asked why their plans were not visible online. Thanks to the dogged persistence of the Association Secretary the consultation has been extended until 30th April.